The earliest records of the old city of Šas, known much earlier as Svač, go back to the 6th century and it was famed for having a church for every day of the year. The city was ransacked in the 13th Century by the Mongols and then again by the Ottomans in the 16th century; it was not really the same after the first and never recovered after the second. Today the hamlet of Šas is perhaps a few hundred people and the old city is now a few, forlorn ruins, signposted from the road below. A rough path heads up from a barely used football pitch at the end of a bumpy track. The path might lead you through a long, sad story but it does give the best, well the only, view of well-hidden Lake Šasko over the crest of the hill. The lake itself, only 3 km or so long and half that wide, is surrounded on its two long sides by low, maquis-covered hills that are difficult to penetrate and the two short sides by wetland and flooded woodland. 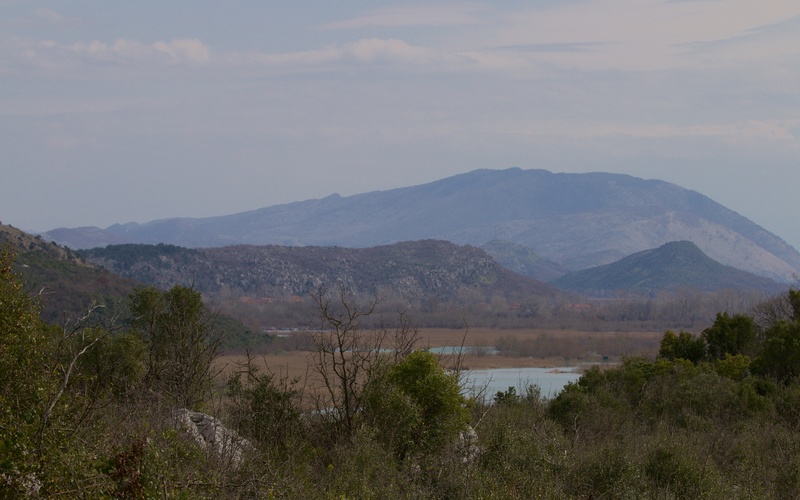 Water levels rise and fall dramatically with the seasons much like Lake Skadar to the north. The lake is connected to the River Bojana into which its waters flow. Šasko Lake lies to the north of Ulcinj in the south east corner of Montenegro; this view looks east with the Albanian hills in the distance. The winter floods drown fields that border the lake; these will be hay meadows and pastures in the summer. I have seen a few waterbirds on the water but all from afar. I tried the restaurant on the lake edge but nothing very useful to be seen from the wide, wooden verandah except the impenetrable reed beds, an occasional fly past by an egret and beautifully cooked, fresh fish. This is the only access at the lakeside that I can find and it is in the middle of nowhere. Having been used to wildlife watching from hides, boardwalks and well-marked paths, it is a pleasant surprise to find that there is nothing to help the visitor at this lake with its wild and beautiful surrounds. 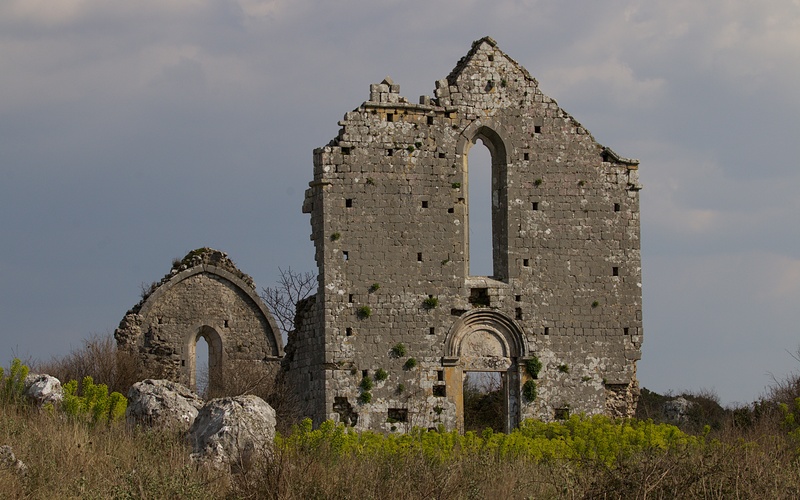 At Šas, one of the two church ruins looked old and tired in the soft afternoon sun; the only congregation now the stand of Mediterranean spurge (Euphorbia characias) that waits patiently at the ever open door. The ruin of one of the two churches left standing in the old city of Šas. 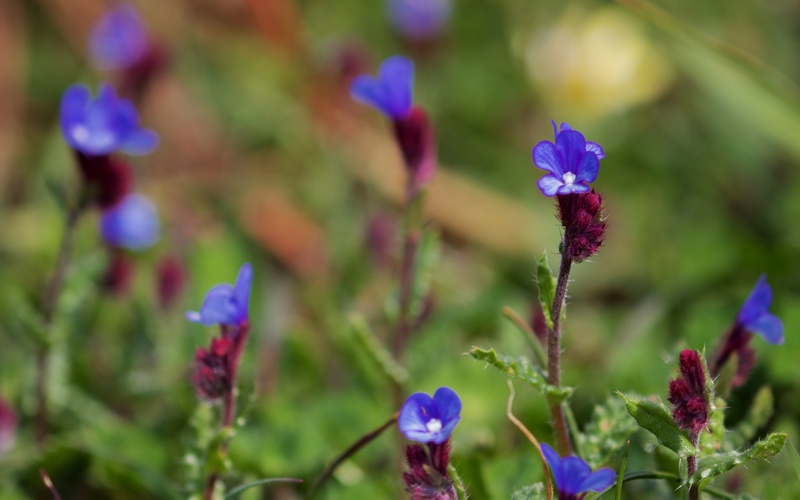 The shelter of the rough shrub-covered maquis held a vivid blue Anchusa species with crimson buds and many snake’s head iris. Walking the path back down the hill and a beautifully marked and entirely harmless leopard snake (Zamenis situla) was caught in the open. It was long and whip like and not at all aggressive. 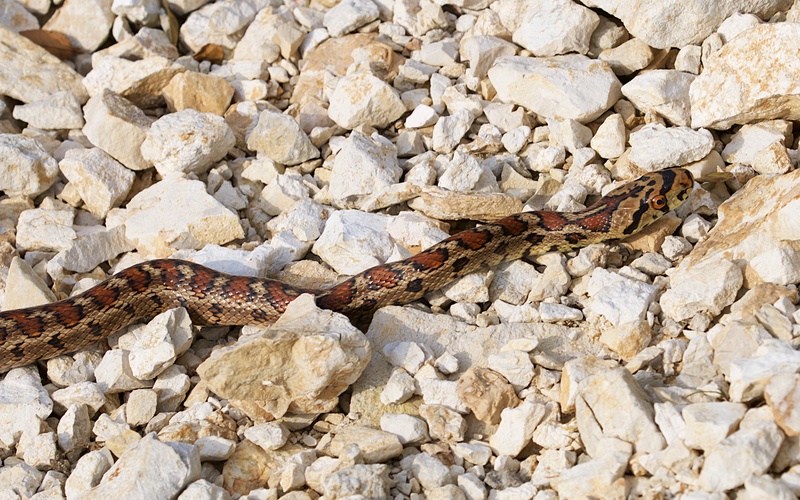 The status of this snake in Montenegro is unclear but likely to be common but it is collected for the pet trade in some parts of the Balkans. Anchusa cretica (or Anchusella cretica) with typically prickly leaves which is both attractive and widespread. 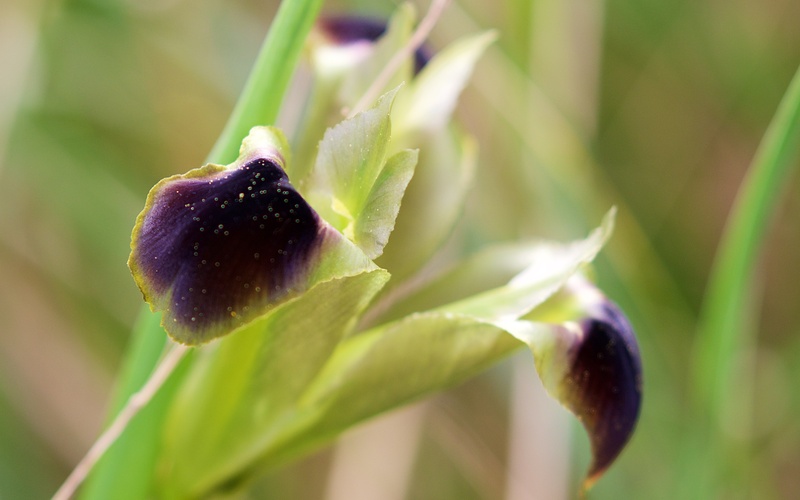 Snake’s head iris which is common in the scrub above the lake. Leopard snake or the more unattractive sounding European ratsnake. The national bird conservation agency, CZIP, won a recent reprieve for the birds at Lake Šasko through a 2-year hunting ban and I hope this gets extended. Hunting appears to be a ubiquitous threat and I hope that Montenegro is not in danger of having wonderfully wild habitats empty of most of its large mammals and birds. It would be like sitting down to a banquet and admiring the long polished table, the fine-patterned bone china, sparkling candles, silver cutlery and the exquisite cut glass, only to be told that, sadly, there is nothing on the menu tonight because it has all been eaten. Thanks Steve … Well written .. And made me laugh too!